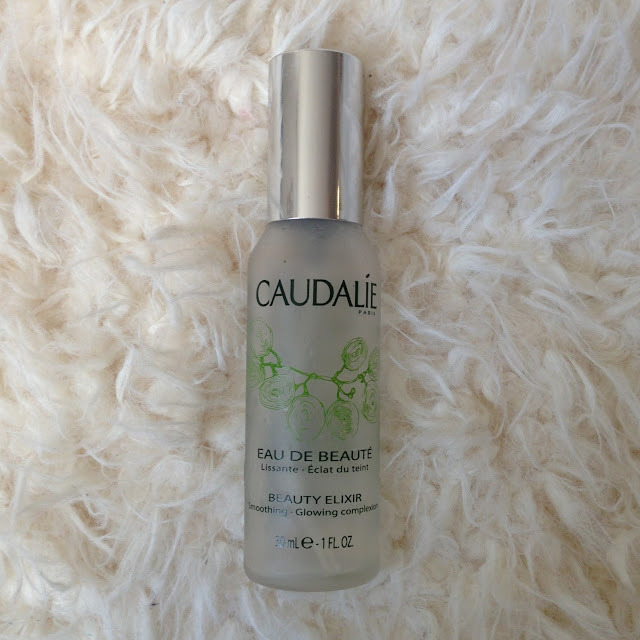 The Caudalie beauty elixir was something I had to try when I heard about it. It was made famous by celebrities such as Victoria Beckham when they were suggested to be huge fans. I had never heard of the french brand before but I think their popularity has skyrocketed recently in the UK due to media attention. The product is meant to work as a beautifying spray for the skin before you apply moisturiser, prepping the face for further products. It is also meant to be used throughout the day, to spray over makeup to revive and freshen the face. It is also used as a fixing spray for make-up which is what I bought it for. At 30ml and £10.35, it is quite expensive really, yet it is definitely a quality product. I do like the product, I just don’t love it. The smell is often mentioned and I am one of the people who really is not keen on the scent. It smells a bit like Vix – the medicinal product for flu and colds. Every time I spray it onto my face, I get a little bit scared that it is going to burn my eyes through my closed eyelids just because the smell is that intense. A bit ridiculous I know, but there you go. But then again, I have gotten used to the scent over time. As you can see from the picture, I have used it quite a bit so I know now how it works for me. It does work to fix your make up and it does feel nice and fresh on the skin after application. The consistency is mostly watery, and although it does contain oils, it does not feel as though you have oils all over your skin. The nozzle on the bottle sprays so evenly and lightly that is literally a mist that settles on your face. This is probably my favourite thing about the product actually. However, I do not feel that it is a product that I would continuously fork out £10 for, especially as it is so small and with daily usage it would probably last you just over a month. I would recommend you try this once though as it is definitely a luxury product that you will either love or like. What do you all think of it? Would you agree?